Marking the first major solo survey of the work of multi-disciplinary artist Aideen Barry, the RHA is pleased to commission a new immersive and monumental installation by the artist, entitled Brittlefield. Barry is known predominately for her performative works and enigmatic moving image visual fictions laced with uncanny, slapstick and macabre humour. The works presented are a phrase of the artist’s more recent performative films that cast a lens on her interest in obsessional behaviour, neuroses and a feeling of monachopsis. Interrogating the space where media and viewer meet, Barry has created an architectural intervention into the gallery landscape. Shards, protruding from a large floor structure fuse the viewer to the viewed, Barry has concocted an ominous installation, channeling ideas of architectural anxiety and dysfunction. 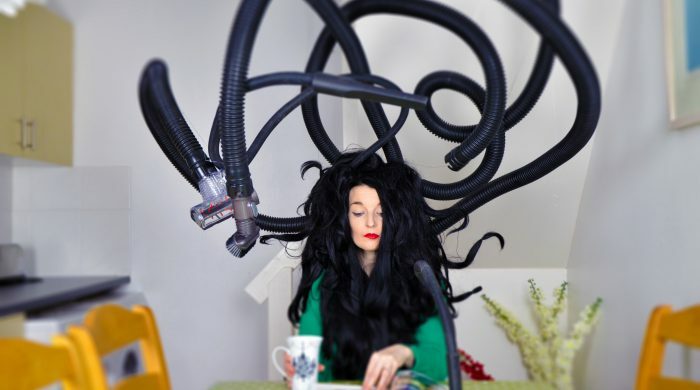 Aideen Barry is an artist with a national and international profile, whose means of expression is interchangeable, incorporating performance, moving image, drawing and sculptural manifestations. 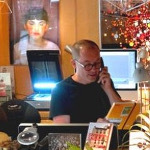 Barry’s performative films often involve huge physical and endurance commitments that manifest as visual fictions, meditating on feminist observations and the monstrous female. Recent projects include a performative response to the works of Carol Rama, commissioned by IMMA. She is currently Artist in Residence at the Irish Museum of Modern Art until the end of the year. Additional upcoming projects include showing in LCA, Lismore, a solo at Luan Gallery, The 2017 Lexicon Commission Award and solo, international residencies in MARFA Texas, and commissions by the Arts & Heritage Trust UK. The artist ‘s works are in permanent collections at the Arts Council of Ireland, Art Omi Collection, New York, NUIG Collection, Galway City & County Council, Mayo County Council, OPW and at the Centre de Art Contemporary, Malaga ESP and the Banff Centre, Canada. Barry was selected for Futures 2009 at the RHA and has since shown in Mothers Tankstation, Liste Art Fair, Basel, Grafit Gallery Bulgaria, Museum des Beaux Arts, Lyon, Modern Museet Sweden, The Wexner Center, Ohio and Louse T. Bloudin, London. Awards include The Arts Council Bursary Award 2010, 2012, 2014, 2016, Project New Work Awards 2008, 2010 and in 2010 she was shortlisted for the prestigious AIB Prize. Barry lectures at Limerick School of Art and Design.